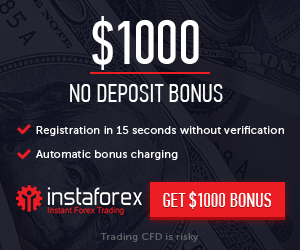 Lately I’ve found advertising various “companies forex” they say give you from $ 50 to $ 200 dollars just for signing more commissions for referring new members, which clearly is a total scam, considering that even when HYIPs investing real money have serious problems when investors try to withdraw large numbers. If that happens in HYIPs investing money where if I doubt that on pages where “give away” money to meet all people who register. Rather I think it is a strategy to seize thousands of email addresses of people and then sends spam. Also some of these pages also allow investments with real money, so if someone were to pay money is probably someone I trust and invested in that company, thus the page will win the trust of more people and reversed. Can also be the case that “to activate the membership” and can charge must make an investment of $ 10 dollars (for example), do accounts and if that page has 300 000 registered, with only 50 000 to pay the membership They would have and $ 500 000 dollars of easy money ready to steal. These pages say that “x” millionaire is giving away their money while the money generated certain results of its operations profitable in forex as well as also earn commissions for referring new members, which honestly do not think is true. My apologies to those who promote these pages, my intention is not to prevent them occurring, but only give my point of view so that when registering to take precautions. I’ve also read that income4free forex4free.biz and have the same IP, so could be the same company. He says he does not hurt to check it for free, I leave to the discretion of each, so if you recommend is not to put one dollar in such enterprises. Is Merkel give a master class competitiveness Zapatero? Are our companies get ready for challenges such as the Middle East? OFFICE OF MORTGAGE: How does it affect the car that can give the floor to pay the mortgage?